On this blog, I talk about all aspects of health. I focus on nutrition the most but also talk about eye health, dental health, mental health, regular doctors visits, etc. My grandma says it best, "when you have your health, you have everything"! In triage at the hospital before I had Adalyn. Despite the smile, I was in a lot of pain! 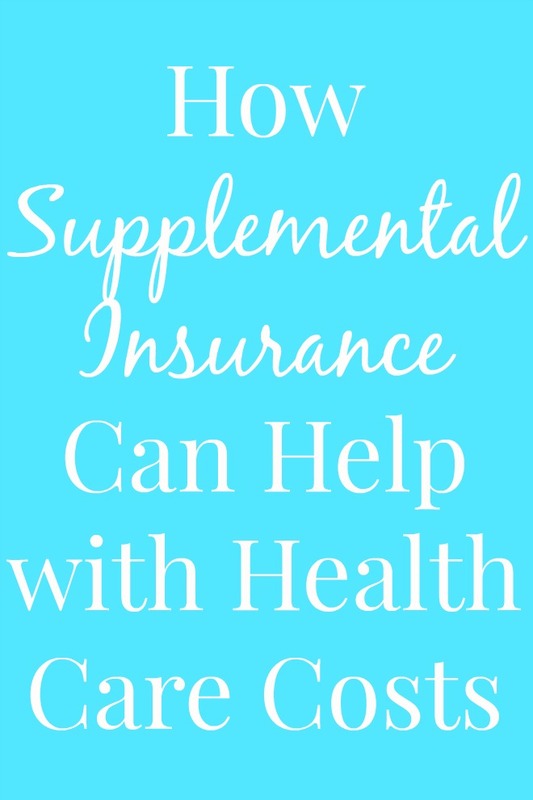 I wanted to talk about supplemental health insurance which along with your regular health insurance, can be very beneficial. I turned 26 in November of last year and finally had to get off of my dad's insurance at the end of that year. I have been on my husband's insurance the last 10 months. He is a teacher and has good major medical insurance (though we have to pay a pretty penny for it of course..). I have not had to use it much yet to pay major bills so I hope that when we do have more costly medical expenses, our insurance will help to cover the bills. An example of supplemental insurance that we have available at my work is Aflac. A lot of people use Aflac and have amazing things to say about them. I work in the health care field and my co-workers have said they feel comfortable having Aflac insurance as a backup to their regular insurance, especially because my work does not provide the greatest major medical insurance. Aflac is around to help cover your additional health care expenses that you major medical insurance may not cover, especially for a serious health event. Out-of-pocket costs can be really high. Just for a normal hospital visit and birth when I had Adalyn, I had to pay about $2,000 out of pocket! Instead of having to pay this amount out of pocket, I could have had Aflac which would have helped to cover these expenses. Aflac pays cash when you are sick or hurt so that you can focus on recovery, not the stress of medical bills. Some examples of what Aflac policies may help cover are accidents, disability, critical illness, cancer, hospital stays, etc. Aflac pays cash to you, unless otherwise assigned, and you can decide how to use these benefits. It can be beneficial for those who are new to the workforce, middle-career workers and for people who are at the end of their careers. For me, as we are a growing family, Aflac would be helpful for this stage of our lives. There are different supplemental policies that are available that you may need depending on your different life stages. The most beneficial for me would probably be the hospital indemnity insurance which is good for those who may need coverage for a hospital stay. When people go the hospital, the average length of hospital stay is 4.6 days with a cost of $11,000. Aflac could help with those expenses. To learn more about Aflac, talk to your human resources manager or visit Aflac.com. Policies may not be available in all states. Limitations and exclusions may apply. Benefits are determined by state and plan level selected. Coverage is underwritten by American Family Life Assurance Company of Columbus. In New York, coverage is underwritten by American Family Life Assurance Company of New York. WWHQ | 1932 Wynnton Road | Columbus, GA 31999. Too bad Aflak doesn't have coverage for individuals.